Great use for leftover chicken or buy a rotisserie chicken to use. Easy weeknight meal. 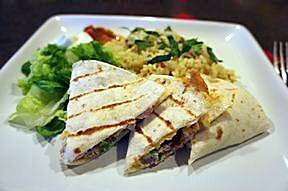 Serve it up with some spanish rice for your own fiesta. 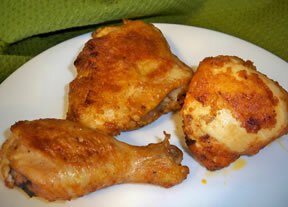 Enjoy the finger lickin goodness of this oven fried chicken. It is super easy and taste like it was fried in a pan. 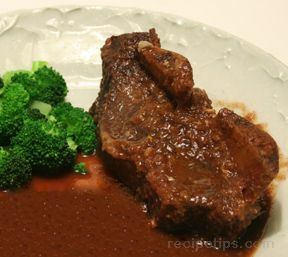 It has crispy skin with moist and flavorful meat. 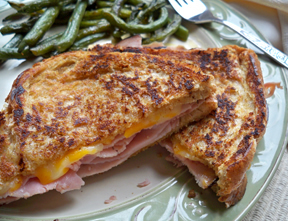 An easy grilled sandwich that is perfect for a quick weeknight meal. 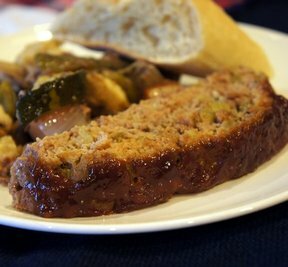 On those busy nights it is nice to be able to serve your family a hot and hearty sandwich without spending too much time in the kitchen. 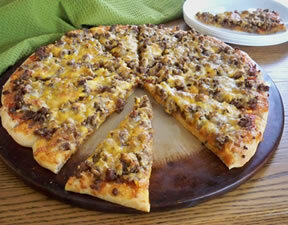 If you like cheeseburgers you will love this pizza. You will also love how easy it is to prepare. Just brown your meat, spread out your crust, and layer the ingredients as directed. Pop it in the oven and in no time you will have a scrumptious cheeseburger . . . I mean pizza! The beef soup adds great flavor to the rice. 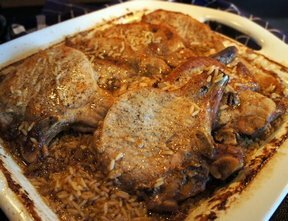 And there's a little extra sauce to spoon over the pork chops when served. This recipe easily doubles for a large family.